While there are certainly other methods for inputting special characters (starting of course from using the correct keyboard for your target language), there are always occasions in which you have to type some accented character you don’t use often. To help you find the numeric code of a useful subset of such characters, this mouse pad is great, and certainly better than scotch-taping a list of codes to your monitor. 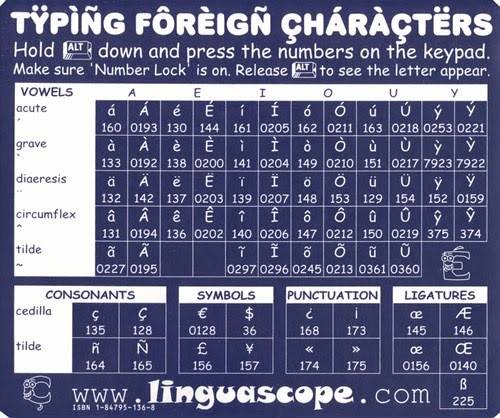 You can find the mouse pad online in the Linguascope website. Need a dictionary for the next World Cup?